At this point losses may seem to go over worse with the fans than it does with the team itself. In the words of Kawhi Leonard, paraphrased to an extent, the regular season is just 82 games of practice. With 70 or so games already in the bag, it has seemed as though this regular season has just been dragging on to no end. It didn’t take long for the true contenders to establish themselves and now, teams are just chomping at the bit to finish the regular season – healthy – and get off and running in the postseason. That remains the main focus for the Raptors. It’s pretty clear that the Raptors will remain in the two-seed. The Milwaukee Bucks are too far ahead with too few games and their impressive play this season leaves little hope to anything believing they will stumble at the finish line. 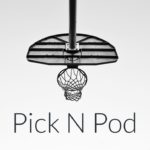 As for the Boston Celtics, Philadelphia 76ers, and Indiana Pacers, they are in a jostle for the three-four-five seed and are too far behind the Raptors to make a push. 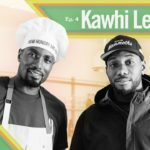 So what are the Raptors doing now? Sticking to the status quo, hoping to remain healthy, continuing to play around with lineups, and clearing not finding any answers for the Detroit Pistons. And believe me when I say this, I know Raptors fans really want to see the Raptors beat their old coach, but look. The Raptors have not been fully healthy in each of the matchups with their former head coach, nor do these games really matter to the Raptors at this point in the season. The focus is the postseason and as the regular season continues to drag on, the key is to take the positives from each game and find ways to fix the negatives. 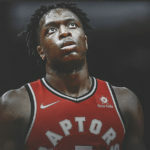 Fixing negatives could be as simple as not going back to the same lineup, but positives include seeing things like Kawhi Leonard running with the second unit, or the Raptors going small with Pascal Siakam at the five-spot. 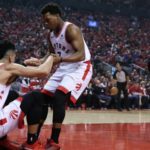 The Raptors are experimenting and looking for combinations that will ultimately work in the postseason. 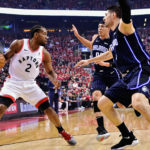 Of course, it is discouraging at times when the Raptors do not play as well as they should, but always remember that this is practice and the only thing that matters is their execution in the postseason. So Raptors fans remember to breathe. The team’s performance will be judged in the postseason and games played currently will mean very little come mid-April.